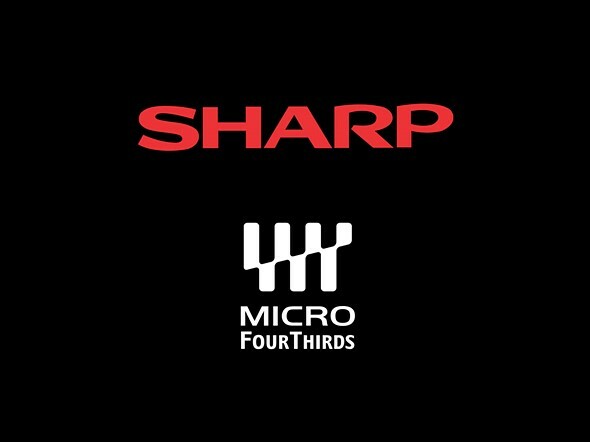 Electronics giant Sharp has officially joined the Micro Four Thirds system according to a press release on the Olympus global website. In the statement Sharp is identified as a ‘driving force’ behind 8K imaging, suggesting that the company will use the MFT system for its future camera systems. For more information see the Micro Four Thirds organisation and the Sharp websites. Loooooog time ago, I bought a Sharp waterproof camcorder which can go under water but not too deep, it is a good camcorder. But now the MFT's bar is high such as IBIS from Olympus. We'll see. 2002: Four Thirds system jointly announced by Olympus and Kodak, with support from Fujifilm from the start. 2008: Micro Four Thirds system jointly announced by Olympus and Panasonic. Micro four thirds has a great future behind it can be used in action cameras, drones, security cameras, ILCs, and now 8K video cameras. It is not an expensive one trick pony. This camera appears to be still in development, but gives sharp a good head start in the race towards 8k cameras. 8k is large enough for high resolution stills too. Nice camera right out of the gate. Sharp says they make the sensor. I doubt that is exactly true. Most companies design them and have someone like Sony manufacture them. The real question is, is it a real 33MP sensor? 50k is a big jump in resolution for a 4/3 sensor... will be interesting to see, how it performs for pictures. Can't wait, M4/3 sensors haven't been developed to their full potential, so I hope this will change soon. Horizontal resolution for 8K video is 7680px, not 2^13. They have said 8K video, no comment on 4:3 photo mode. They're probably using a 16:9 or at least wider aspect ratio sensor, like Panasonic does in the GH5s, GH1 and GH2. You get an image circle with any lens system, and with a 16:9 crop, it's quite possible to make the sensor a bit wider without risking lens coverage. 3 days late for April Fool's Day. 4/3s is dead, does Sharp not follow what happens in industry?! The old 4/3's is dead, but the derivative micro 4/3 is live and well. Yeah sure over time it will probably die off a bit, especially 100MP sensors become the norm as cramming 100MP on a m4/3 sensor might be challenging, but for now it's a "win" for m4/3 users, as new competition usually benefits the customer because there's that many more companies competing for your business. That's why I think NIkon and Canon getting onboard with the mirrorless bandwagon is good for the industry (I won't go into which one is better as it really just depends on the person and their needs). Nice. The last thing we need is yet ANOTHER goddamned lens mount or standard. Another - you must mean like the new Canon mirrorless or Nikon mirrorless mounts? Micro 4/3 been around for ten years in case you didnt know. Pretty sure you’re responding to a sympathetic OP. Plus, I thought (at least between Panasonic and Olympus) the mounts were interchangeable, thus being one of the advantage of m4/3. Now, that may not stop Sharp from trying to be different and trying to force people buy their lenses, so if they're smart, they'll adopt the same mount as Panasonic and Olympus. Panasonic, Olympus and Leica are all interchangeable. I think part of the reason M43 is attracting many companies is because the barriers to entry are probably a bit lower, than in the APS-C and especially, FF market, which is pretty much saturated by Sony, Canon and Nikon. The M43 is like a separate market for vloggers it seems, and then you have APS-C and FF in another "segment". And there's nothing wrong with M43, as it's a stable market I think (it's not going away any time soon, and neither is FF... APS-C... I'm not sure, I could see it declining over the next 5-10 years, especially since it seems the APS-C and FF price gap is closing down a bit, at least with the enthusiast cameras: Nikon D7500 and a Z6 for example). Well that's good news! I've always liked the 4/3s environment. This is good news for m4/3 and for "proper" digital cameras in general. The more companies are involved the more benefit there'll be for the users. It will be interesting to see what Sharp come out with. How come m43 is dead when everybody loses their mind everytime an m43 article pops up? Years ago, I bought my first MTF - EM5.M1 with weather sealed kit zoom, so the price was good b/c everyone thought MTF should be dead soon including Wall street, and then I bought the EM5.M2, and more lenses as I did not think MTF would be dead soon. The press release mentions nothing about Panasonic continuing to develop the M4/3 standard. If Panasonic drop out then the format is doomed. Panasonic still has a bunch of amazing photographers who are their ambassadors for their M4/3 system. They swear by M4/3, and give feedbacks to Panasonic. I highly doubt Panasonic will drop out. I can't see Panasonic abandoning m4/3, especially with all the fans they have of their video. The company that's constantly whining and whining pessimistically about poor sales going forward into the future, is Canon, not Panasonic. Canon will be fine. They know how to survive. No camera company has proven to be better at managing costs than Canon. And yes, I'm aware that sometimes that shows up in the image results. But give credit where credit is due: Canon is able to build, package, ship, and sell a complicated SLR camera -- with a lens included! -- for less than $500 at retail. And they manage to make a profit at that point. Canon may outlast them all. My point wasn't that Canon is in trouble. It's that there's no indication of Panasonic giving up M4/3. We didn't even hear from Panasonic being negative on the outlook of digital camera market like Canon does in every single interview. I own 5DMkII with Canon's 50mm f/1.2L and M5 with a whole bunch of adapters to use vintage lens. I have never owned a M4/3 system. I don't have anything against Canon. @liin that is because Canon has only been able to offer mediocre cameras over the last few years. I'm sure Canon's fortunes will pickup though. I'm not a M4/3 user myself but I would like to see it continue. In other news Panasonic announces the G90 and updated 14-140 lens. Doesn't matter, Panasonic has had the video user's mindshare, but Olympus has always had the stills mindshare. Sharp could always fill that void with ease. I know how DPR users think. I DID NOT say you can't shoot great stills with Panny cameras, nor did I say you can't shoot adequate videos with an Olympus (Ok, maybe I am saying THAT, Oly still has, very much, a stills mindset). Panasonic literally announced another new M4/3 camera today, and a new (updated) lens. Canon is wandering in the weeds, and has been for years. Their overpriced, outdated cameras only survive because of their lens selection. Now that the EF mount has been superceded, and Nikon has stepped up with excellent video output (ProRes Raw, no less)... Canon is going to get its ãss handed to it if it doesn't carry out a long-overdue management housecleaning. That's the press release from the Olympus website. That's why it doesn't mention Panasonics plans. All press releases about new member companies are issued by Olympus alone, not by Panasonic. This is because, even though Panasonic co-developed the MFT standard, Olympus is the company responsible for the administration. They own the MFT trademark and maintain the official website (four-thirds.org). I don't think Panasonic is going to drop out anytime soon. They just released the G95 for example. Plus Panasonic knows that they are among the few brands for vloggers so short of some catastrophic financial blunder, I don't see them going anywhere anytime soon. Sharp.... I'm not sure. They could do well, or be one of those companies who is in for two years and then realizes that they can't get enough marketshare to justify staying in. I shall not be denied my Carrier camera. Nor shall I suffer the absence of an LV camera. Finally! I wait for such great news since JVC GY LS 300 became outdated. Another breathe for my collection of MFT lenses! Great joke, now i hope i read it the last time. Yes. There are some - by Olympus, Sigma, Pana Leica and others. Peter von Reichenberg, those you mentioned aren't Sharp! Imagine the traffic to the Sharp website when all the photographers search "Sharp lenses" in Google. I remember people writing the same about fHD ten years ago. And you always can buy better computer :-D Sharp didn't say they will bring 8K camera this Summer - I presume they have carefully red your statement so they will wait untilll you get over 4K. Its not the same thing though, to use a 8k TV fully it has to be much bigger or you need to sit even closer... it gets uncomfortable. For example with a 55" TV the max. view distance for 4k is aprox 2,8 m, not sure how it is with 8k, but you certainly can try to find an online calculator and see for yourself. "to use a 8k TV fully it has to be much bigger"
We're talking about cameras, not TVs. There are lots of 4K TVs sold every day, and 8K video capture means the freedom to manipulate to produce higher quality 4K video as the final product. Hahaha. And what computer you going to edit said 8k video on. Mine still struggles with 4k and it’s the top of the line iMac air. @birdy1970: just because you dont understand the science doesnt make it bs... and i have actually checked on the numbers and my eyes agree. maybe u need glasses (-: iam sure u understand the since. so use the calc for u and good. its very funny to read. Olympus will no longer feel lonely. Sharp will be there together with them in the m43 graveyard. Avatar still has the all time worldwide box office record at $2,787,965,087 and was shot on Sony CineAlta F23 cameras with a 2/3" sensor that is much smaller than micro four thirds. But Avatar is a cartoon film. No cameras needed for that, just CGI. 2ndly, tots watch those not the pixel-heads. Avatar uses a lot of computer generated graphics. but the actors are real. I liked your post – it's a good point. Professional video though is well-lit. Home and documentary video is often not lit, requiring much higher ISO. M43 is simply not good enough at high ISO. "But Avatar is a cartoon film. No cameras needed for that, just CGI." Cartoon film ? Get a clue pal, watch the movie before you make a dumb post like that. And 10 people like it so we have many dumb people here. UncoyDP here's a scenario for you. Equipped with an A7ii w/ 50mm 1.8 and a GX8 with 35-100 2.8 taking photos of foxes in very low light. Of the 2, it was the Lumix m43 that produced the better images, again and again. I'd read comments online echoing what you said about m43 having poor low light capabilities, but when it comes to the crunch, that's a load of garbage. It's more important to have a good lens in many situations. Anyone want to buy a Sony A7ii? Is that the Sony SEL-50F18F? It's a terrible lens, notorious for poor auto-focus and mediocre image quality. The Sony 50mm you want is the Sony SEL-50F18F. I'm not a fan of the Sony A7 II cameras but III version are excellent as is the Canon 5DS R, 5D IV and even the Canon 5D III. Nikon's full frame DSLR are apparently outstanding as well. When I've shot M43 cameras (Panasonic), the low light has been awful enough in comparison to a 5DIII that they haven't lasted a week – even though I've long liked Panasonic production quality and ergonomics. But horses for courses – if you're happy with the image quality that's what's important. @UncoyDP yeah, tried Canon 5diii, but couldn't live with the lack of dynamic range, didn't find the low light Performance worth the bulk . But if you're happy with that,that's fine. I'm happy with the bulk of Canon when shooting sports or even hiking but I don't like taking such a big camera to restaurants, family occasions, concerts, etc. I had a NEX-5T for such duties for five years and the last years have been trying to replace it with Sony A6300/A6500 (hated them both but at least the A6300 is a cheerful and sleek silver), X-H1 (nearly as big as the 5D, flaky Q button placement but great IBIS), silver X-T20 (like it but no focus aids during video), silver X-T3 (great camera, just a bit big, not full frame image quality at that size) and Sony A7 III. The A7 III has impressed me most with its image quality vs size (the extra 100 to 250 grams over the other cameras on this list doesn't worry me). I wish Sony had updated the sleek and featherweight NEX-5T instead of making such beefy replacements. Better yet Canon would stop crippling video on all their cameras and I could buy either an M camera as a carry camera or an RP equivalent. Panasonic leaving, Sharp taking it's place... My guess is Olympus fans will welcome them with open arms. Do make yourself look so bad. Panasonic will release a new m43 camera in the next month. Panasonic is NOT leaving MFT. If Panasonic is leaving ... Leica will be dead in the water. It will become just another fuzzy memory of your parents collectibles. Panasonic leaving? Maybe in your dreams. MrALLCAPS - Panasonic have a huge range of M43 cameras which are very popular with photographers and videographers. There is no way they'll abandon M43. But they do need to think seriously about whether they should continue with DFD focusing, or whether it is possible to substantially improve it with new algorithms. The DFD wobble in the EVF when using C-AF is very distracting and bad enough to turn away a lot of prospective purchasers. @Entoman I never use CAF, most Professionals go with Manual Focus and I didn't have a problem with DFD, in fact I find it insanely quick. MrALLCAPS - "most Professionals go with Manual Focus". As a former professional photographer (now retired) I can assure you that your comment is incorrect. It depends very much on the genre of photography and the preferred approach of the individual. There is no virtue in using manual focus in the manyfold situations where C-AF is superior. @entoman -Pardon me, but I left out "for Video". It would be a bit foolish for Panasonic to leave MFT. As I had mentioned earlier, short of any financial issue, I don't see them going anywhere--same with Olympus, especially since the two companies are pretty much what drives m4/3. "most Professionals go with Manual Focus...." This is far away from the truth. Yes there are some "purists" out there that don't trust AF, but as entoman mentioned, your comment is far from the truth. It depends on the subjects. I will use both depending on the subjects (landscape and macro I'll use manual focus; photographing models or other stuff, it's usually AF). Take a look at the pros that shoot the Olympics. Some (if not all) are pro shooters, and I don't see to many of them using manual focus. They can't. Things happen too fast so they have to rely on AF. I think a better statement is that pros know WHEN to use each method of focus (as mentioned, some situations are better with MF, others are better with AF). I look forward to Sharp coming with some value priced gear. take any system .. a standard 50mm prime is dirt cheap and any other prime lens is 3 to 4 times expensive! It will be interested to see what it brings to the party. Dead system...how many times we heard it. Maybe in your dreams. Cool, I wish them well. Are we acting like Sharp is gonna do anything more than make a couple of security cameras with this ? Sharp has already announced plans for a FT format 8K video camera. If you’d read the article, you would know that. Dear lord. It's being targeted to prosumer videographers to push 8k content for their 8k TVs. Spend five minutes on Google before posting. And by developing an 8k 43 sensor for prosumer video they have to have a 30+mpx 43 sensor. Isn't the camera market tanking? Absolutely not for many segments. Action cameras, security cameras, drone cameras, etc. 4/3 is that happy medium between too large and too small. Even smaller 1inch sensor video camcorders are doing well in camcorders today, as previous prosumer standard was 1/3 inch 3 CCD in Canon XF300 for example. Bigger than 1 inch, the Micro 4/3 is still going strong in GH5 for high bit rate video in 4K, so having 8K available in smaller cameras would be using for professional videographers. Not sure if the consumer market actually needs 8K, 4K I would think would be enough. But for large movie screens, for Pros, 8K is very useful. @Zed Man I have an olympus EM-5, I gave it to my girlfriend because I use my P7800 (which is way better and more capable than it ever should have been) for travel and my 6D/7D for quality/speed. But I can see my self as an old Man ditching all of that and going full M4/3, Fuji’s system isn’t small enough and M4/3 hits the spot just right. It really is the best balance. Olympus should switch to APSC. I'll bet they would make a good one, Sony seems to be giving them all kinds of room to do it to. Sharp seems interested in 4/3" format for 8K video: video is not tanking and it generally tends to smaller formats than high-end still cameras. Maybe that is for the sake of combining wide zoom ranges with hand-holdability for "mobile" work like news gathering, weddings and other "documentary" stuff. wider zoom range and such. To keep those long focal range lens down in size, over FF, micro 4/3 for video can be very useful and 8K is part of the future, for those pros who know how to use it. I doubt they joined the mount to do cameras. Video cameras of course, stills -Nope. Interesting counterpoint to those saying that Panasonic needs to go to 36x24mm L-mount in order to do 8K video. The pixel size needed for a 8K 4/3" format video sensor (16:9 shape) is about the same as a 4K 2/3" sensor, and there are 4K video camera in formats smaller than 2/3". For another comparison, it is about the same pixel size as in the 20MP 1" format sensors. Last camera Sharp released was a VN-EZ5 back in 2000-2001. A long time coming. Already saw that last year or the years before, so boring old news and not a still camera. I've been around cameras a lot longer than you have. Photo man, you didn't originally say still camera. You were wrong and if you were a man you'd admit it. Sharp is also currently manufacturing smartphones in Japan, so they at least have up-to-date expertise on small still cameras. @Zed Man I mentioned a VN-EZ5 which is a digital still camera, not a video camera. Many people have confussed it with a video camera. Look it up. PERHAPS, Panasonic are going to end the manufacture of m43 sensors in the next five years to concentrate on FF. Therefore Olympus need another sensor manufacturer. Your thoughts? Olympus already buys all of its M4/3 sensors from Sony, and Panasonic is phasing out all the 16MP models that they built the sensors for in order to buy 20MP sensors from Sony. There's a possibility TowerJazz / Panasonic has started to make photographic sensors once again (remains to be seen who makes Panasonic's 47MP sensor in the S1R), but there's no evidence of that yet, and no evidence that they will be making sensors for M4/3. Right now, Sony has a functional monopoly. Olympus is already using Sony sensors for many years. And Panasonic will not end the m4/3 products. The m4/3 will dominate their sales many years from now on. Are Canon and Fuji the only ones not using Sony sensors? It's literally just Canon (and a bit of Leica) not using them, at this point. Canon should do something about their sensors in 6Dii and RP for its poor dynamic range, as when I look at photo samples online at dpreview, it looks like plugged shadows (deep black shadow areas and blown highlights in outdoor photos). Raw also has its problems, not being about to adjust too much in recovery, due to dynamic range. In contrast the sensor from apsc Canon 80D, 77D, m6, T7i all use similar new 24mp sensor with great dynamic range (I own 80D and 77D). Perhaps Canon should look at another sensor manufacturer for 6Dii and RP, as many people are complaining about its poor dynamic range, or get their people working on it. Adrian van...can you link me to photos by the 6Dii that are lacking in DR? davev8 .... here is a quote from dpreview in the Cons of 6Dmark 2 review they posted ... "Less low ISO dynamic range than even crop-sensor competitors"
Although Raw yields a bit more dynamic range than jpeg for 6Dii, Nikon and Sony have Canon 6Dii beat for dynamic range. The Canon R and 5D4 are far better in dynamic range. However, that is not to say that 6Dmark2 isn't professional, just not same as 5D4/R, and it could still yield great photos with good lenses in less demanding environments, cloudy days or studio work, and some low light. Sunny days might be a bit demanding at times for 6D2 with some blowouts or plugged up shadow detail. Here are links to sample photos in sunlight conditions, of 6D mark 2 on dpreview review ... I noticed heavy shadows and some blown highlights. I have been lead to believe that Olympus mainly use Panasonic sensors. You should reconsider who you let lead you. @netmage, can you support your assumption? Why are people feeling threatened by the announcement that Sharp joint the MFT consortium and will be coming fort with new MFT products? Scrolling trough this comment section is a sad sight. Lots of troll's. When is DPR going to do something about it? This negative spiral will hurt views and activity of members in the long run. Ooooo, "DPR don't care", that's very cynical. I think DPR do care. The problem is where do you draw the line. One person's trolling is another person's valid opinion. @dave8 "doing something about people's opinions because they don't aline [sic] with yours happens to [sic] much today ...it used to be named fascism"
Your watered down and misleading definition of fascism does a great disservice to history. While it sounds like Sharp isn't going for the stills business, I think some people are worried that Sharp will beat others at their own game (DJI, GoPro, etc). I'm glad to see yet another company join the market. Just as I was happy to see Canon and Nikon join Sony in FF mirrorless. The more that are in the various markets, the more competition, and more competition usually benefits the consumer as eveyrone is competing for your business. Sharp is owned by Taiwan's Hon Hai Precision (parent of Foxconn) since the Japanese company got into serious financial problems a while ago. Taiwanese with a different mindset may translate to exciting M4/3 products at attractive price points down the road. Or your copy machine . Or your dentist’s office. Assembly robot maybe. I was trying to remember who had put a major investment into Sharp. That may explain a lot, and since Sharp would be considered a "high end western brand" for Hon Hai, and that could indicate that this is an area of significant investment by the company. Said investor in Sharp is all about proprietary standards for milking customers in a walled garden - nott an investor in driving open standards. And could swallow Olympus whole in a second if it was of value. So that’s wishful thinking. Not the driver here. - Will push the development of M4/3 video lenses. - Will push the development of M4/3 sensors over 20MP. Still/only is sunset. Look at consumer habits. Internet usage growth is all video. Among young people social media growth is in video clips. You are not looking at the right customers, IMHO. People you are referring to mainly use smartphones. Vloggers may use something better than a smartphone, but they are not the majority of "real camera" users. Among "real camera" users, I am ready to bet there are many who use it to shoot stills only and just grab their smartphone when they want to record a video... Unlike you, I think there is room for still-only cameras. Not unlike me - unlike all the camera makers - because they dont make such. No point. You Gervais no sale from like 90% of buyets just to please a pretentious 1% who would buy the camera anyway if it has video. Hope Samsung return to mirrorless camera industry. samsung is more agressive than Sony when it comes to AF, sensor, speed,video and features. The NX1 was easely 4 years ahead of its time. NX1 is exactly the point: Samsung never backs product lines for long term. It’s all throwaway. Same as what they do in phones. Why should Samsung re-join a globally shrinking market ? Samsung's camera department moved to their smartphone business which seems to be quite healthy. In contrast, Sharp might need this step to keep their video camera business alive. If Sharp pays to develop a new sensor, its good news for Oly and Pany. Soooo...the question is why? Despite 4/3 users hopes, the format is losing out. I just read that Olympus has just south of 3% of the market, and they’re the biggest player in 4/3. What does Sharp expect to accomplish? The format is NOT losing out. There will always be a clientele for it. I have FF cameras, but I also have m43 cameras (E-M1 II, etc.). I use them ALL depending on the situation (travel, etc.). I just got back from a three week trip through many places in Peru. I instead took my Oly E-M1 II due to our constant travel, and it was the right thing to do. And, yes, the photos are fantastic, if I do say so myself - including Machu Picchu. Thank you, Oly! caver3d - Denial, not just a river in Egypt. Like I said - mindless comments. Try to be more innovative. The camera industry is in general dying a slow death. Cell phones have already killed the cheap P&S market and the newer high end phones are now targeting even the higher end P&S's like the Sony RX100. The quality of these phones is for many (like me) good enough...I focus on my high end FF gear now. The money in photographic equipment will be at the high end of the market and unfortunately for Olympus that isn't in M4/3. I'm sure box camera users felt the same way about the Leica Iiia.. That turned out well. Portability and very good IQ. It's the future. Can't imagine dragging MASSIVE camera systems around ever again. And Fuji has under 2% market share. Why not worry about that, instead? My OMD is surprisingly not that far behind my 5DSR in terms of raw image quality. I also prefer the Olympus colour output. @Clint "The camera industry is in general dying a slow death." Not dying, but slowly and steadily contracting, and that surely must _feel_ like death for most of these companies. "I focus on my high end FF gear now." We would have never guessed from your comments. OTOH, your "high end FF gear" is just a toy crop camera to those of us with medium format, so you're going to have to up your spending significantly if you want to keep commenting here. "The money in photographic equipment will be at the high end of the market and unfortunately for Olympus that isn't in M4/3." For any amount of carrying, it's hard to go much larger than m43. For ergonomics, it's hard to go much smaller than m43. The range from 1" up to APSC is about the sweet spot for camera ergonomics, and that actually does matter. If you're in a studio, or you have a Sherpa to carry your gear, then of course larger is better. I can't wait for the inevitable 4x5 sensors. Hate to chime in again, he could pick up a speed graphic for just a few bucks. Or a Yashica 124G for portability and practicality and he'll be in some high end gear for cheap cheap. 3% globally. Forward thinking markets like Japan has Olympus at the top of the market - outselling Canon and Nikon. Oly are doing pretty well, and the future looks bright. It's only a matter of time before N&C join the 4/3 bandwagon. Umm I don't think so really as there is NO reason for them to do that. They seem to lose interest even in APS-C cameras! (Which is VERY sad to me as I am an APS-C user). Boy, that’s really wishful thinking. Samsung have great technology but there's no way on Earth I'd risk buying into a brand that completely abandons it's customers. Have you forgotten the way they dumped on all the people who bought into the NX1, leaving them with no upgrade path, no lenses and no service? BTW Olympus has a wide experience in damping their users also. OM, 4/3 were abandoned with NO proper support via adapters. All they said was just "It is time to move on". I was shooting 4/3 then, and I don't want to have an Oly again because of that. jokes aside that NX1 was not that bad of a camera. It was really disappointing to see them pull out of the market when they finally made a good camera. That camera still goes for a good price. For FT users Olympus made an E-5 in 2010. In 2009 they had already adapters and in 2013 they came with the E-M1 that could properly fast focus all FT lenses with the adapter. So the FT users had an nice transfer path. Paul - Yes, Olympus are also guilty. They dropped out of the photography market completely at one stage, when they found that they weren't making enough profit from their film cameras. Fortunately by that time there were a huge number of OM bodies and lenses on the used market, so at least the abandoned users had somewhere to go. Then came the switch from 4/3 to M4/3. Now it seems that they've made another serious error in producing the E-M1X, a vastly overpriced camera that will only appeal to a very niche market. I fully expect them to drop out of photography again within a year or two. Keep expecting that. People have predicted the death of Olympus every year since I bought my MFT camera in 2010. Its hysterical nonsens. The E-M1X is a niche camera, it's meant that way. The designed it that way. Just like the D5 and 1DX camera's are a niche in there systems. I had a Samsung Gear S smartwatch years ago. Ahead of its time. On par with hardware Apple is releasing as “innovative” today. Samsung didn’t support it properly didn’t update or open up the firmware:OS to thrive And now we’ll Apple is the market leader. Samsung is a Frankenstein - powerful but just lurching around. Thorgem - Nikon D5 and Canon 1Dxii sell in big numbers to sports, wildlife, wedding, journalist and architectural photographers. They are not niche cameras. They are virtually indestructible, have vast lens ranges, superb servicing facilities, extremely high availability of specialist lenses for purchase or hire. And they produce stunning images in very low light levels. The E-M1X can no way compete against them. It has only a very tiny potential market. There may be people who appreciate the body design and the lightweight lenses, but at anything above ISO 200 the results from FF will be far superior. The Olympus simply won't produce acceptable image quality in low light - high ISO scenarios. Bla bla bla. Tell me genius how many % of Nikon dSLR sales is for the D5? It's a niche camera no matter how you put it. Thorgem - D5 and 1DXii are only a tiny percentage of sales *within* their systems. But Nikon and Canon sell vastly more cameras and lenses than Olympus, so the ratio of D5 sales to EM1X sales is probably in the region of several thousand to one. And no amount of "bla bla bla" will change that, or the fact that the Nikon and Canon products are far less specialised, far more versatile, and in every respect apart from size/weight superior to the Olympus offering. A dying brand hitched to a dying format...sounds like a recipe for success. What a mindless comment. M43 isn't going anywhere. It has a distinct size/weight advantage - and especially the size/weight of the lenses. There will always be a clientele for it. Not a mindless comment at all. Olympus is going to abandon 4/3 or go bankrupt within 5 years...you heard it here first. The big problem facing Olympus is that while some people like their squeeny-weeny bodies and can tolerate their indecipherable menus, the number of people who will settle for a 20MP camera that produces soft noisy images at anything above ISO 800 is very limited. I'll take m43 ergonomics and proper weather sealing any day over small mount of noise hell I shoot my a7s at iso 12800 all the time yet dread holding it. I love noise. You dread holding an A7Sii??? Bahahahahaha. Hit the gym bud. RED - I can understand that. Olympus cameras have extremely good weather-sealing. I know someone who dropped an EM1Mkii into a river. We fished it out, dried it for half an hour in the sun, and it still works perfectly. Credit where it's due. What utter nonsense. It produces tack sharp shots up to 3200. Yandrosxx - If you are satisfied with Olympus at ISO 3200 I'm happy for you, but don't kid yourself. Compared to FF, it's soft and very noisy at high ISO. The Zuiko lenses are fine, but the sensors are physically too small to compete with FF or even with APS. Check out the dpr studio comparison charts and the difference in sensor capabilities becomes blindingly obvious. And in real world scenarios it's even worse, as defocused backgrounds exaggerate the noise even further. @Clint Dunn >You dread holding an A7Sii??? Bahahahahaha. Hit the gym bud. Your personal experience may vary...but I'm not sure how the ergonomics are better on a tiny Olympus vs a slightly less tiny Sony. Clint - I'm inclined to agree. Both brands are seriously lacking in the ergonomics department, although they each have saving graces in other areas. Grab a Em1.1/2 and then a a7s and you tell me. You want even better, grab a Gh5s and then an A7s and you tell me. As for tiny, you do realize there are bigger M43 modes and not everyone wants a tiny cramped camera. entoman-horse sh*t. Nearly every real world scenario anyone shoots is ISO 3200 or less where any marginal IQ differences are none existent in actual production whether displayed on screens or printed out. Pick up any magazine that lists photo specs in the caption and count how many images were shot over ISO 3200. Out of hundreds its 3 or 4 at best. Count how many at ISO 6400; you may find 1 or 2 at best. Pick up the latest copy of PDN magazine. The inside cover is a shot from the Em1X at ISO 5000. See if you can see a bit of noise. I tried and couldn't. Even Imaging Resource classifies the Em1 Mark II at ISO 1300, not the 800 you pulled out of …. Is it that hard for FF users to realize the perceived advantages of FF systems really are just that inconsequential? Don't kid yourself, the difference between extremely good and excellent is … well not much, particularly when it only matters when shooting fast moving objects above ISO 3200. Which is …. almost never. Olympus is much much more than a camera company,even if MFT goes south,it certainly won't bankrupt the company. Pedro - I've not suggested that Olympus would go bankrupt. Their primary business is medical optics and microscopes. But they's pulled out of photography before when times have got tough, and times are tough for them right now. A pity, as some of their products (e.g. the "Tough" cameras) are excellent. It remains to be seen whether they can survive in the MILC market however. RED i referred to ergonomics, not weight. So what he is complaining about is the small size of the A7 series, a problem for almost everyone with size Large hands and above, a problem no gym can fix. Entoman, I am not so sure. Nikon appear not to be interested in anything now other than mirrorless FF, Canon have been very slow to develop their APS mirrorless lens line up,nice cameras but nothing above a slow 200mm zoom,so my guess is they are doing the same as Nikon. Even Sony don't have much of an E lens range compared to that which Olympus has to offer on MFT. C/N/S will be the goto for FF, Fuji for APS and Olympus/Panasonic with their huge range of fast and relatively small quality glass will continue to cater for the likes of me who are happy to keep to A3 and want a light load. The problem for Olympus is their pricing,the OM-D 1 mkII is far too expensive. Put the 20mp sensor in the OM-D10 for £100 more than its present price and it will continue to sell well. Pedro - My guess is that we'll find that the (as perceived by you) failure of Canon and Nikon to launch new DSLRs and new APS cameras is only temporary. Both brands know that they have a lot to do, to catch up with Sony in terms of technology and native RF and Z glass. So clearly that will be their main focus over the next year or two. But equally I think that both Canon and Nikon correctly believe that the DSLR market (bodies and lenses) will still be very active for another 5-10 years, so I've no doubt whatsoever that they'll be launching new DSLR bodies, and faster-focussing, more compact DSLR glass. Olympus I think face 2 major problems. Firstly as you say, they are very overpriced for what they offer. Secondly, whatever M43 fanatics might say otherwise, M43 is severely limited when it comes to high ISO image quality, and is seemingly unable to overcome the 20MP threshold. I agree as far as the ISO is concerned,I try to limit it to 800,which given the speed of the lenses is quite achievable most of the time. Mind you for low light street photography ,B/W is often the medium so noise less of a problem. Personally I make do, as changing to Fuji is just too costly considering the high prices of the lenses. 20mp is fine for A3 and as a rank amateur that's as big as I need. If I were starting again,your right, I would go for a bigger sensor. Would be a great shame to see Olympus go,but I doubt it will be in the near future. Pedro - I don't think Olympus will disappear. They are a big company but the photographic side of their business is relatively small. Their history, is that when they feel the pinch economically, they temporarily withdraw from the camera market. Then later as their finances recover, they relaunch with a new type of photographic product. They may surprise us yet, and launch a radically different camera with mass appeal, to rescue them from the financial doldrums, but they seem to be moving in the wrong direction with the E-M1X, which is aimed at a very tiny niche market. I wish them luck, but it wouldn't surprise me if they withdraw from photography in a year or two. Just going to point out again that Olympus LEAD the camera market in Japan - a good indicator for growth in other forward thinking markets. Sick of seeing comments from sour aps-c/older Canon users trying to call out the mighty m43. Entoman, your comments are a thin coating of reasonableness over a bulk of bitterness toward m43. I don't know what camera system you're using, but it's obviously leaving you feeling quite bitter that other companies are taking some of the limelight. That is a very good news!!! What is not good is 8K that is just what we don't need. Go back into you cave if you want time to stand still. I will be getting the 8K GH6 when it comes out. Do you mainly listen to 129KHz 24-bit audio ? If you don't, why ? P1004K, that’s ridiculous. If you’re a true professional filmmaker, for theatrical release on a huge screen, it’s one thing. But for anyone else, it’s nuts. Like it or not, 4K itself is worthless for most people who have it. They sit too far away from a too small screen. 8k will be far worse. I sit 12.5 feet from my screen. I need a 105” screen to see full 1080. I would need a 210 screen for 4K, and a 420 screen to see 8k. If you don’t understand how this works, you should’nt even bother to post. Time still exists in caves. Hell I have a 120" screen and a 720P projector and it still looks good on a properly encoded movie. Love 1080 but 4K looks so unnatural to me. If 4K looks unnatural to you then you either A) have poor gear or B) poor source material. Sorry but 4K looks like over sharpened turds. 1080 is just the right looks for video. 5 minutes on google searching the eye and perception of 8k resolution shows no one needs it. But what is significant is it needs a 30mpx sensor to produce. Sharp's effort to do that on a 43 sensor is potentially quite significant. Why 43 and not another format-APSC-FF? OMG, flattards that think 2mp (1080p) looks better than 8mp (4320p). Man... have you ever tried to cut an 8k video???? But I can say that 4k is already a resolution waste, for me, because it does not look better than 2k on a TV screen of a decent price and size that fits my living room and viewed at a distance between 2 and 3 meters. Right, people buying 4K HDR large screen TVs are stupid since you could put a cheap TV from Walmart far enough away and see the same image. We should all go back to 6mp DSLRs since we can't see any resolution above that. "We should all go back to 6mp DSLRs since we can't see any resolution above that." I view my 120" screen at 13' It looks great at 720P on a properly encoded 1080 file and you actually get the theatre field of view experience. I have 0 interest in even getting a 1080 projector, w-tf is the point? SO I can tell my neighbour I wasted money on yet another tv? Dude spend five minutes on Google evaluating whether the human eye can perceive 8k resolution before posting. I think a 10 year old boy made a DPR account and put a picture of an old guy as the avatar. 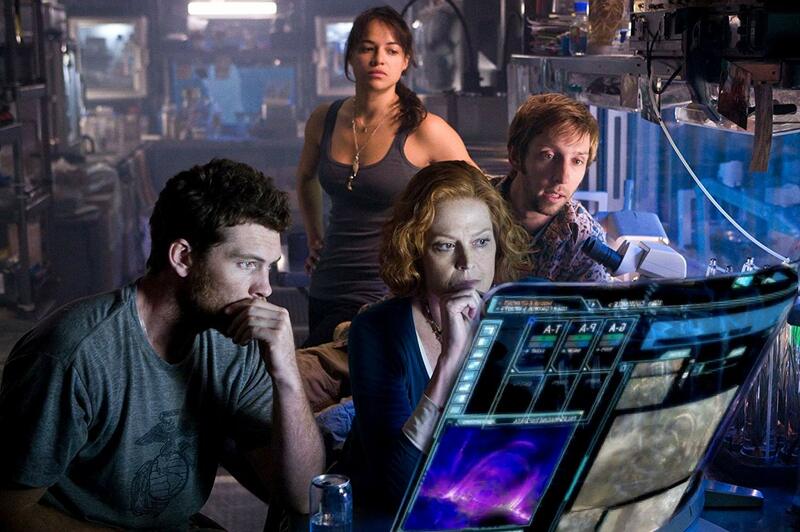 I think one benefit of 8k, would be to extract a hi res still frame from it. The question is not if we need 8K or how big the screen from viewing how far. The problem with 8K id the file size and how our computer can or cannot handle it. The videographer work does not stop by pressing the record button... we have to cut edit our footage and even 4K is a problem 8K would be almost impossible.... or at least very-very slow. 8k on mft is already diffraction territory. No mft lens will be able to handle it properly. Saying "already in diffraction territory" without mentioning an f-number is silly and meaningless. Diffraction becomes limiting on a 39MP M4/3 camera at f/4.5. Of course, and how many mft lenses do you think will resolve 44MP (you'd need a 44mp 4/3 sensor) at wide apertures? They already struggle with the current 20MP sensors. How many 1" sensor cameras and lenses do you think can resolve 20MP? How many 1/2.3" sensor cameras and lenses do you think can resolve 5MP? How many 1/3" sensor smartphone cameras and lenses do you think can resolve 3MP? It's all the same question. I imagine your answer to those above questions would be "at least a few." The answer is none. High megapixel consumer stuff is a blurry, useless mess at 1:1, including the 1" cameras. Multishot mode on the OM-D E-M1 Mk II already gives about "40MP+ worth" of resolution with good lenses and appropriate f-stops, and that means that the image delivered to the focal plane by the lens has that much detail. Diffraction effects are milder than many seem to think, and for 8K in 4/3" format (sensor about 18mm wide due to the 16:9 shape, so about 2.2 micron pixel pitch) is fine at about f/4 and wider. Images from 20MP 1" sensors are not a "blurry useless mess" so long as suitable f-stops are used. P. S. The DOF limits for avoiding diffraction effects at 8K resolution are of course the same in any format. For example, if f/4 in 4/3" then f/8 at twice the focal length and needing four times the ISO speed to get the same shutter speed in 36x24mm. No, high res mode doesn't give you 40mp. I used to use the a lot on the em52. It gets rid of the horrible base iso noise on mft, sharpens up the image a bit, but it's nowhere near the claimed medium format resolution. Because not even the 'pro' lenses can resolve that much. Sharp knows how to make stuff. TY! My mother thinks the same! All we need now is Fuji to Join the Smartphone manufacturers. And they shall be known by "Vertu for the poor"
The more the merrier. I wish more mounts were as open as m4/3. It ensures its longevity when there is widespread support, and gives consumers more options. Should we expect Huawei P40 to have a m4/3 mount as well? I'm generally a fan of m43 but it is kinda funny reading this excited announcement these days when m43 is at its lowest point so far. That said, it's obvious Sharp isn't going to make photographic cameras, just video cameras and probably professional ones at that. So they could easily keep at it even if Olympus backed out eventually. Does Sharp have the tech to make their own sensors? That could be interesting. Literally every camera manufacturer is "at its lowest point so far." I don't think there's anything to be improved on the g9 or em1ii (except maybe crazy new sensor technology) .That seems like a peak, not a low point. Androole, some are lower than others. Hopefully Sharp is smart and only plays to niche segments of high demand. I would question the sanity of anyone jumping into the camera market to make a $500 ILC in 2019. Well no, an 8K cine camera is not going to be $500. That does without saying. Obviously. So if Sharp is going to focus on stuff like 8K cine cameras, I can see things going well for them. If they try to cover the gamut, I don't. @sportyaccordy, I agree, if they come out with a body that looks like an ILC they will fail. If they come out with a dedicated video rig (not in ILC form) that uses mft lenses then they have a chance based on price and features. However, if someone made a $500 m43 ILC that competes with $1000+ APS-C ILCs? It's not even unreasonable, just stuff some PDAF and faster pipelines in something like the Oly E-M10 and you're done. Since 2016 Sharp has been a subsidiary of Taiwan-based Foxconn Group. Sharp employs more than 50,000 people worldwide. They make all the screens for iPads and iPhones as well as a huge number of other devices, not to mention a myriad of other tech. They are on top of the game, not just existing. You'd be surprised. People think Hitachi and Toshiba don't exist either. Samsung makes the screens for the OLED iPhones.